At Marzano Research, Lyn provides research assistance and technical support for Regional Educational Laboratory (REL) Central projects as well as research studies focused on educator evaluation and effectiveness, strategies to close the achievement gap, and college and career readiness. Her areas of expertise include survey design and analysis, interview techniques, and data support and management. 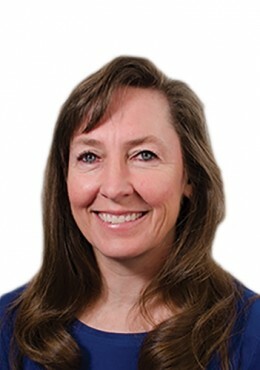 Throughout her career, Lyn has managed and supported a variety of education research studies across the country, training field staff to assess students, evaluate educators, and survey administrators regarding the efficacy of public school programming in early childhood intervention and curriculum. She also has experience in elementary education as a kindergarten and fifth-grade teacher, and as an advocate for families of children with hearing loss. Lyn earned her bachelor’s and master’s degrees in elementary education, with an emphasis in literacy, from the University of New Mexico.